B.A.S.E Ltd have taken delivery of the first RHD UK specification MAN 13.8m Barbi Galileo HDH model for it’s sister company Holmeswood Coaches Ltd. The coach was collected from Italy by Holmeswood’s Managing Director Francis Aspinall accompanied by Group Engineering Director Mark Aspinall. Both say they are delighted with the high quality finish and solid engineering in this launch model. They reported it drove effortlessly from the Barbi factory in Mirandola (Northern Italy), overnighting in the German Alps and northern France before reaching Lancashire. The vehicle has a luggage capacity of 18m3 even when allowing for the fitment of a PLS wheelchair lift system. 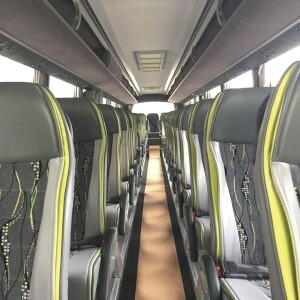 With this, Holmeswood see the vehicle a front-line touring model for both cruise line work and European tours during this season. The first UK Galileo is based on an MAN RR4 Euro 6 chassis with 480 BHP engine and features a ZF AS-Tronic 12 speed gearbox with power intarder, cruise control, a steering third axle, a 480 litre fuel tank and independent front suspension. The 13.8m Galileo HDH model is built to 3.82m height and 2.55m width. 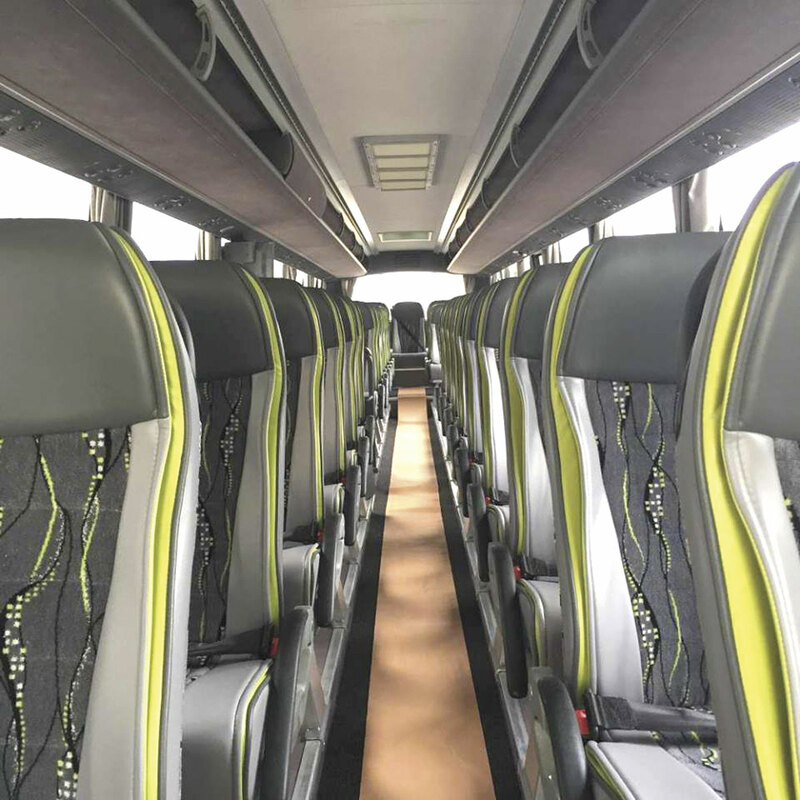 It is fitted with 61 Kiel seats featuring a half leather luxury package and benefits from Sutrak climate control and convector heating. A Webasto heater is fitted as standard along with a fresh water centre sunken toilet and a hot water drinks dispenser. The second UK Galileo will be collected from Barbi in the coming week. It is a 10.35m HD example with 43 seats to the order of R G Jamieson and Son in the Shetland Islands. The availability of 9.5m3 of luggage capacity in a 10.35m body was a key factor in the vehicle choice.